There’s one place uniting nearly all visitors to South Africa. 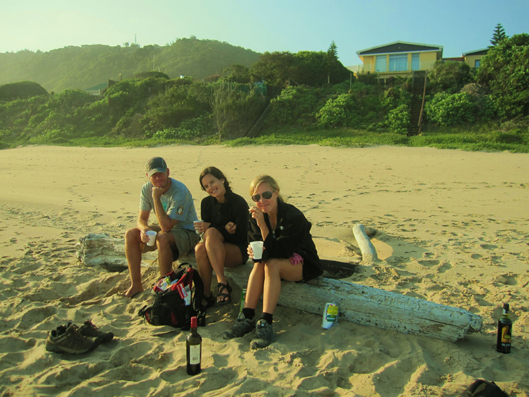 This spot is known as the Garden Route, a scenic 400-mile stretch running down the southern coastline of South Africa. Second to only Cape Town or Krueger National Park, it usually earns a spot on the itinerary of nearly every South African traveler. Promising incredible topography and vegetation with a wide range of outdoor and wildlife activities, we set aside nearly two weeks to traverse this terrain. 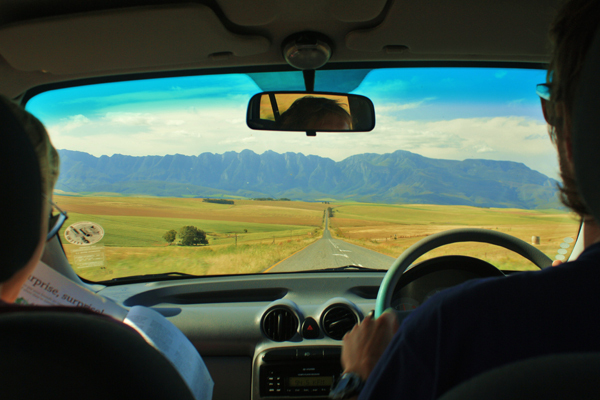 Arming ourselves with some wheels, we took off from Cape Town with our pals Greg and Ashley for a proper road trip along the acclaimed Garden Route. Our journey commenced in picturesque Hermanus Bay. The town of shake-shingled cottages with thick slated-roofs overlooking a rocky shoreline of crashing waves was straight out of a New England dream. 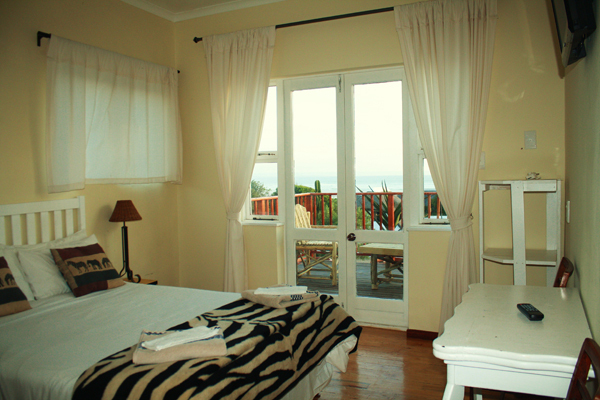 We settled into a delightful little B&B on the Atlantic shores and the intricately hand-carved furniture and African accents were the only thing reminding me I was far away from home. While our adventure hungry pals, Greg and Ashley, set off to organize a cage swim with Great White Sharks (check out their blog for stories on this adventure! ), I tended to my wifely duties. Ryan was suffering from a bad case of food poisoning – South African style – from the ostrich burger he mowed down the night before. Between caring for my sickling, I soaked up views from the balcony of our room of the sun setting over the dramatic coastline line. 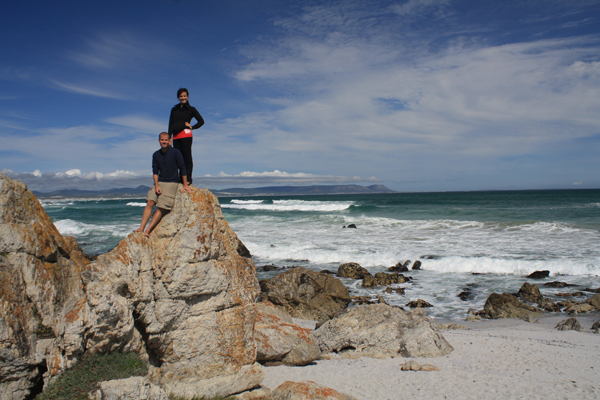 With the ‘bird flu’ behind us, we had the following day to enjoy Hermanus Bay. We were more than pleased with our charming digs and the coastal scenery, but what had drawn us here could be found along the water’s edge. We’d arrived in October, peak whale-watching season, to watch the massive water beasts put on their show. To our delight, a fleet of enormous fins poked out of the water followed by a stream of rolling, colossal bellies revealing themselves amidst breaking waves. Next up was the eponymously named town of Wilderness . Here we found ourselves in the midst of – you guessed it – the wilderness. Surrounded by dense forests, deep ravines and rippling streams, the area is any outdoor enthusiast’s paradise. With little time on our side, we had to forgo the variety of nature hikes encircling the area and opted for a day on the water. Saddling up on canoes we spent a leisurely afternoon paddling our way to the waterfalls of Wilderness Wildlife Reserve. Paying proper adieu to the day, we then watched the sunset from the white-sandy beaches of Wilderness Bay with a bottle of cheap wine and block of cheese in hand. The unexpected highlight, however, of Wilderness was a visit to a hobo camp on the outskirts of town. Our buddy Greg had gotten word of this remote encampment from a fellow traveler and was adamant we pay a visit. To my surprise, it did not disappoint. Following deserted train tracks around the side of the mountain, we walked through a long tunnel. This lead us to an enormous cave with unparalleled views of the rocky coastline. We immediately recognized this was no ordinary cave and were soon greeted by cautious hellos from the cave’s inhabitants. The cave is called home by thirteen homeless people and on a brief tour conducted by the mastermind of this eccentric ‘residence’ we learned it was unlike any place we’d ever seen. Entering the cave I felt as if I were walking into a Tim Burton film. Proudly leading us through his whimsical home, our dutiful guide explained how each ‘room’ had been constructed out of various relics found on the shoreline or around town. In reality this group of hobos had simply taken others’ rubbish and used it to create a residential masterpiece. In the three years of occupying the cave, they had skillfully crafted a beautiful home. 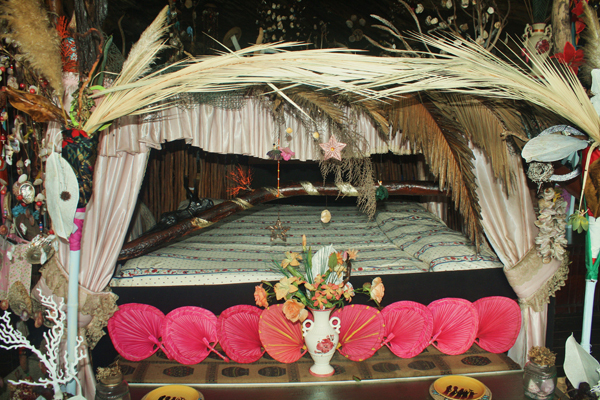 Old mops and brooms were converted into ornate bed posts and vases. Fanciful strands of seashells strung together with fishing line magically hung from the cave ceiling and elaborate chandeliers made of pebbles and rocks look fit for a spread in Better Homes & Gardens. It was sheer genius. 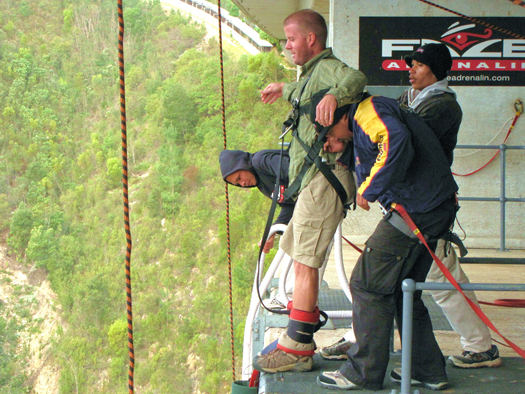 On the eastern edge of the Garden Route, Ryan chalked up another one on the adventure list: bungee jumping from the highest jump on the planet. Located near the town of Storm’s River is the towering Balkans Bridge standing proudly over a deep ravine. 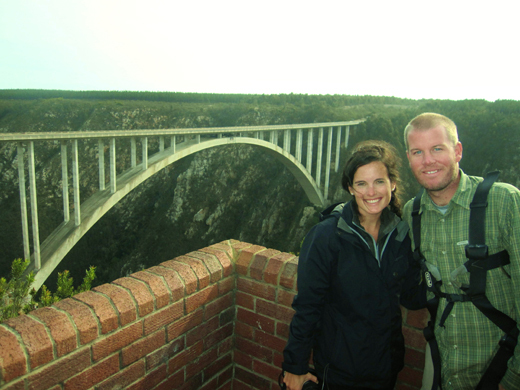 It’s become the place for adrenaline junkies looking to take the plunge and claiming to have highest bungee jump in the world, my superlative-seeking husband wanted in. After getting strapped into his gear and getting an earful from me on how stupid I thought it was, he braved his way to the center of the bridge and made the jump. Standing a football field away, it was quite unsettling watching him make the jump and witnessing his flailing body suspended in the air hundreds of feet above earth. After confirming it was the most terrifying moment of his life, I crossed my fingers hoping it might be the last. 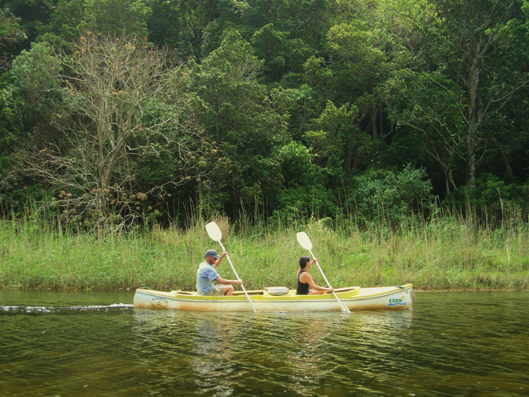 From pristine coastlines and whale-studded shores to cascading waterfalls and hobo camps, the Garden Route was a special place. And this was just the beginning. Standing out from our Garden Route journey were the wildlife encounters to come. Graceful cheetahs and fierce ostriches awaited us on our journey and wet our palette for the host of African wildlife adventures to come. I love the garden route especially living in a coastal town Jeffreys Bay on the edge of this route. Sometimes I have to drive through the scenic garden route for work purposes, what a privilege! Loved this post! 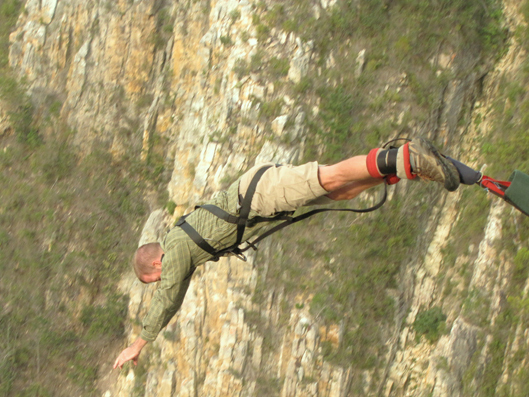 I am currently picturing that day Ryan bungee jumped. Think too much wine the night before and a group of American college students. Hilarious!!! So glad we did not do it…Miss you two! wow – look at you Ryno. Intensity in ten cities.